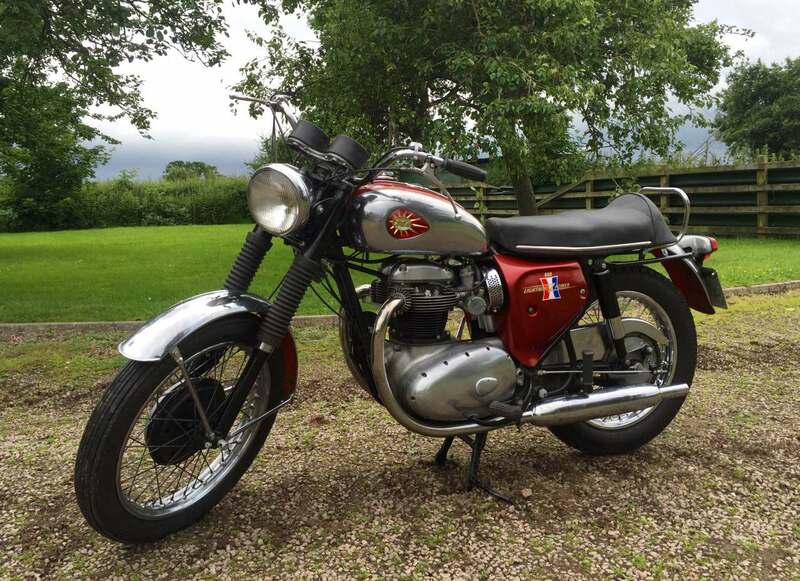 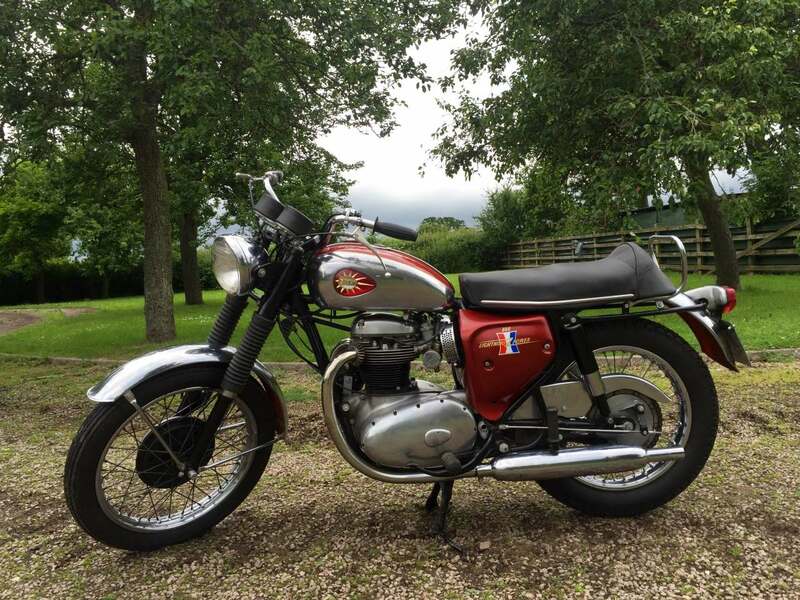 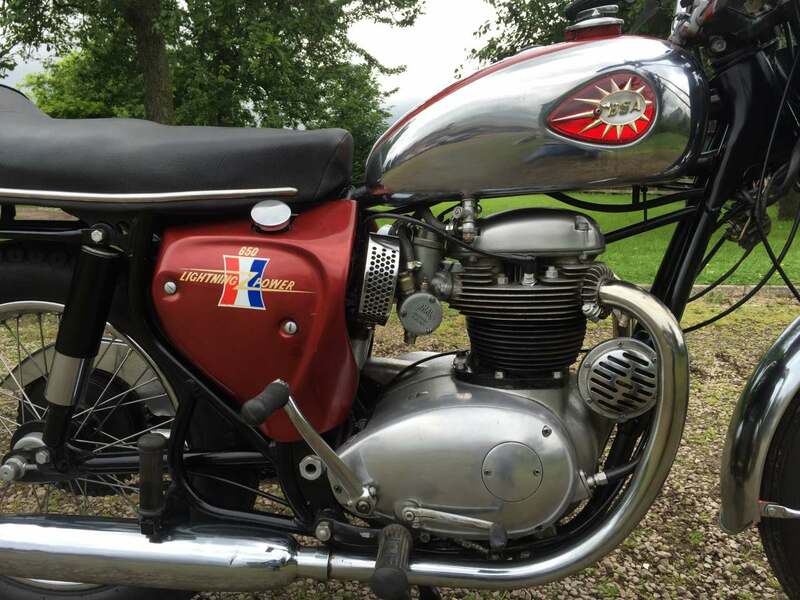 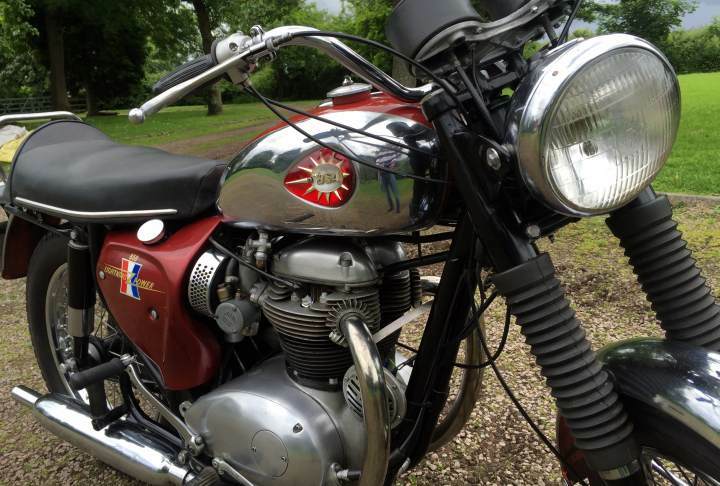 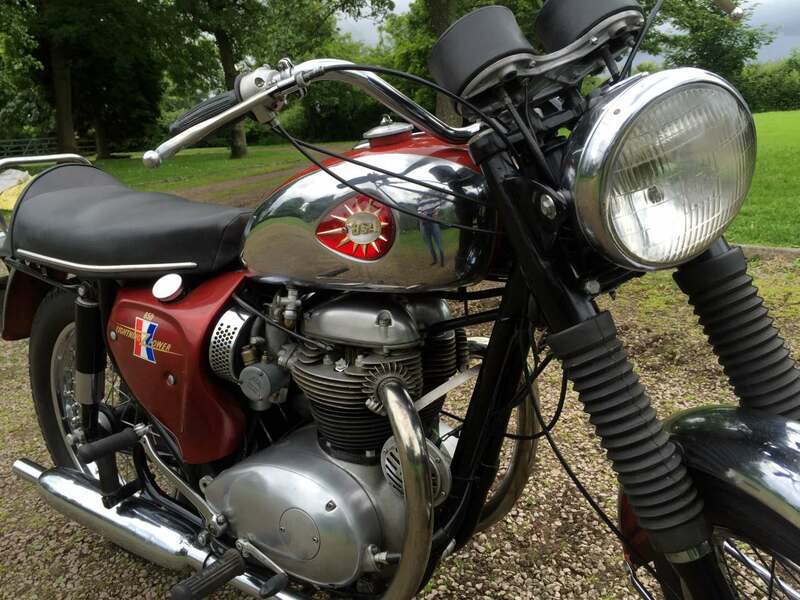 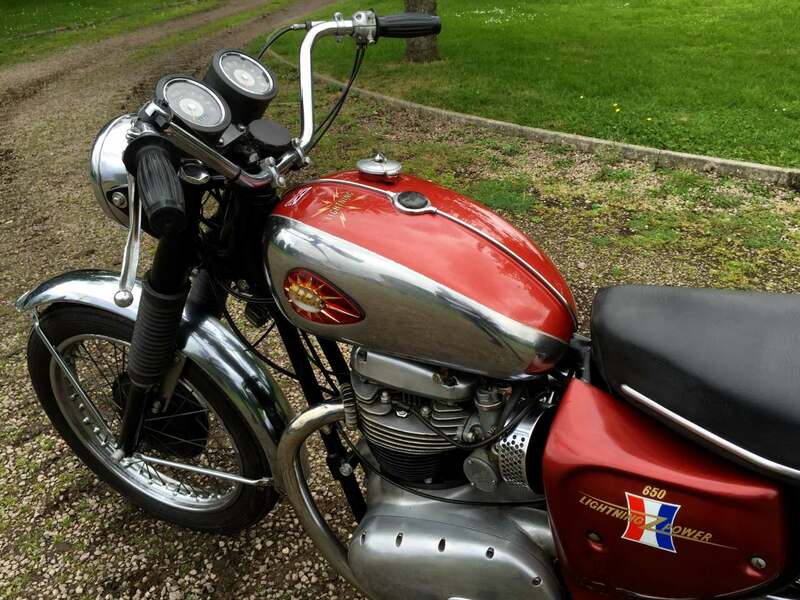 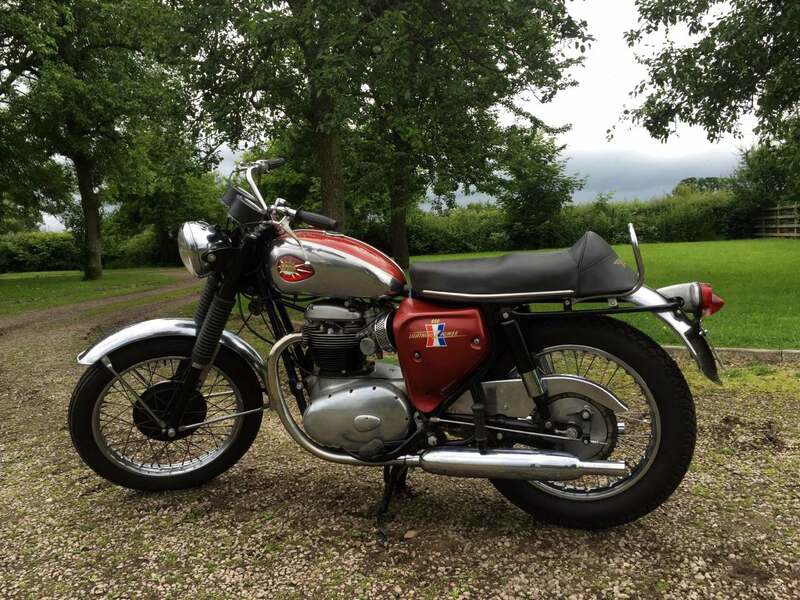 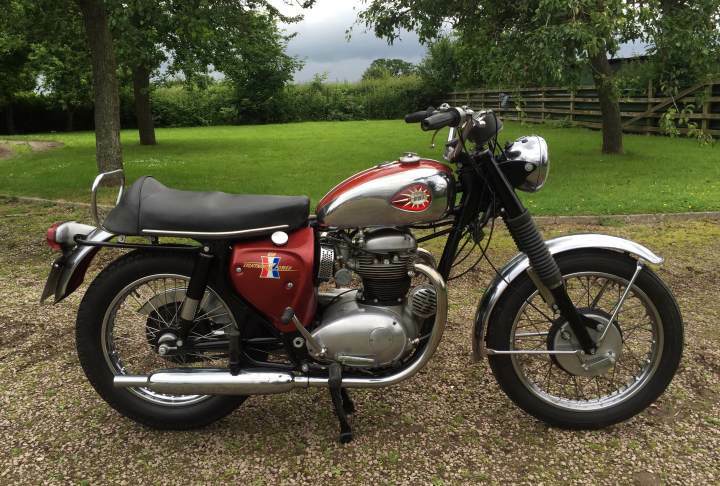 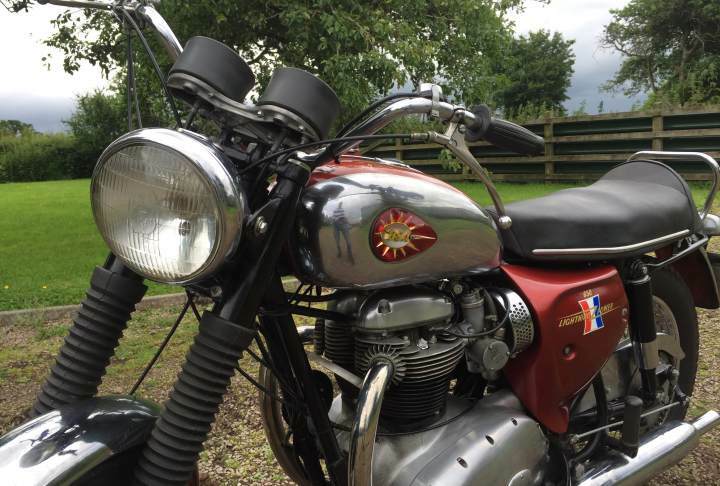 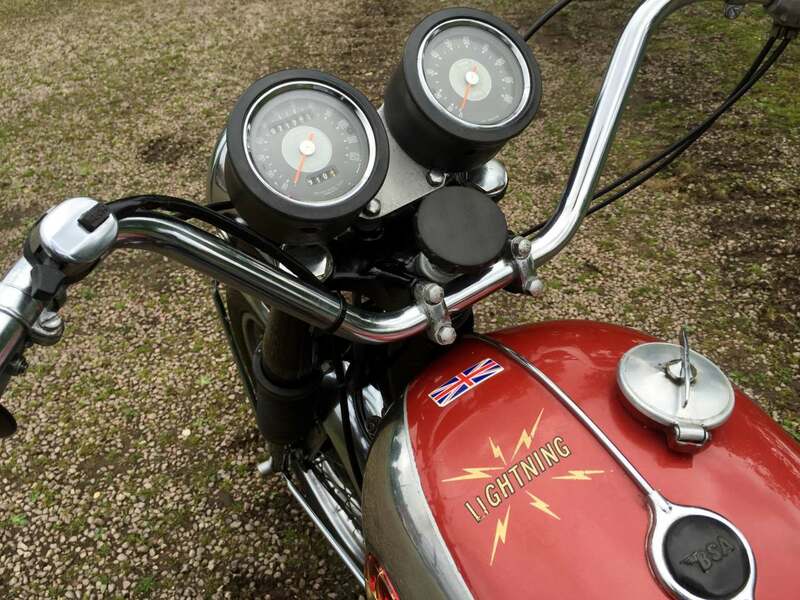 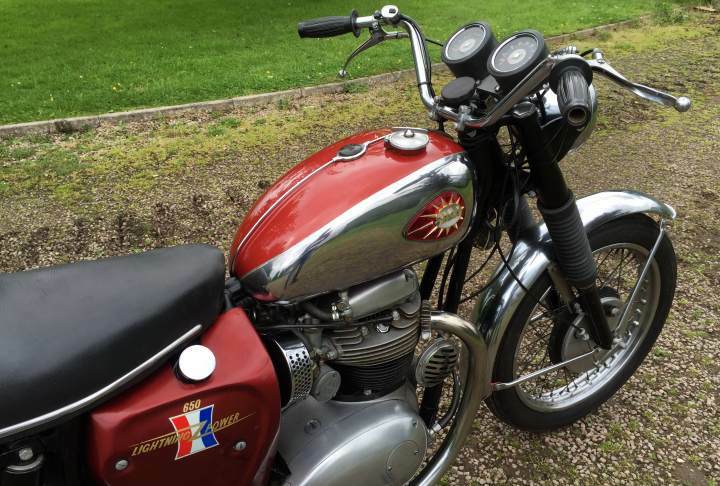 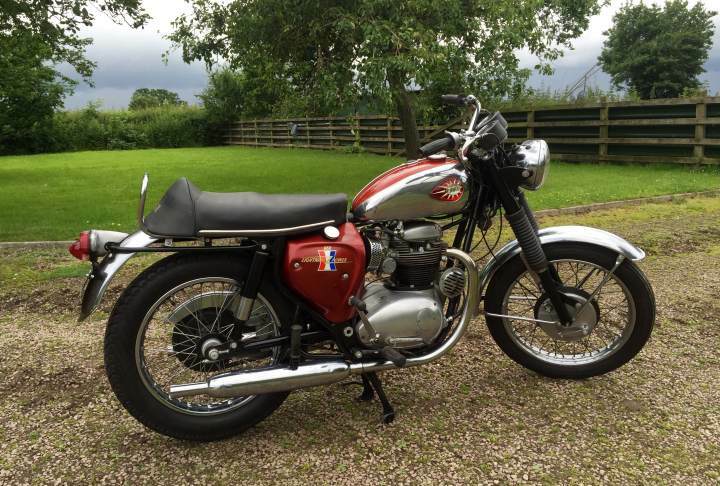 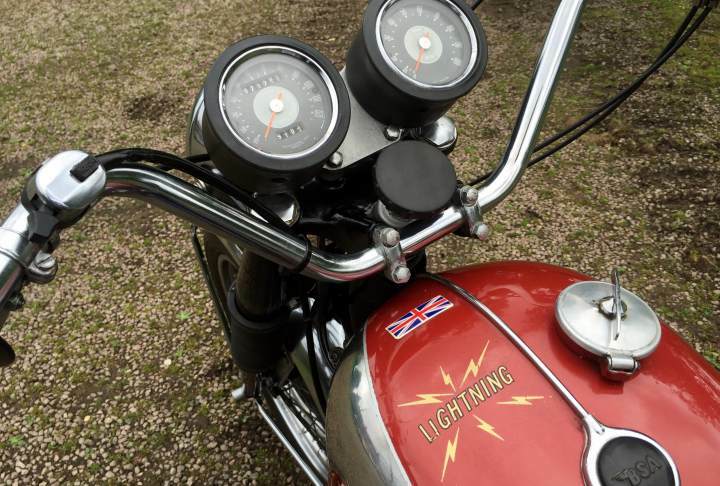 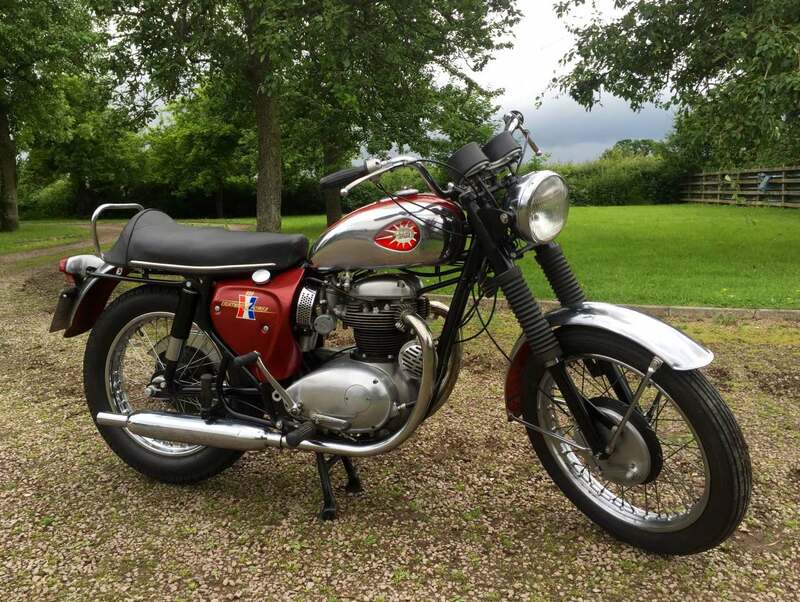 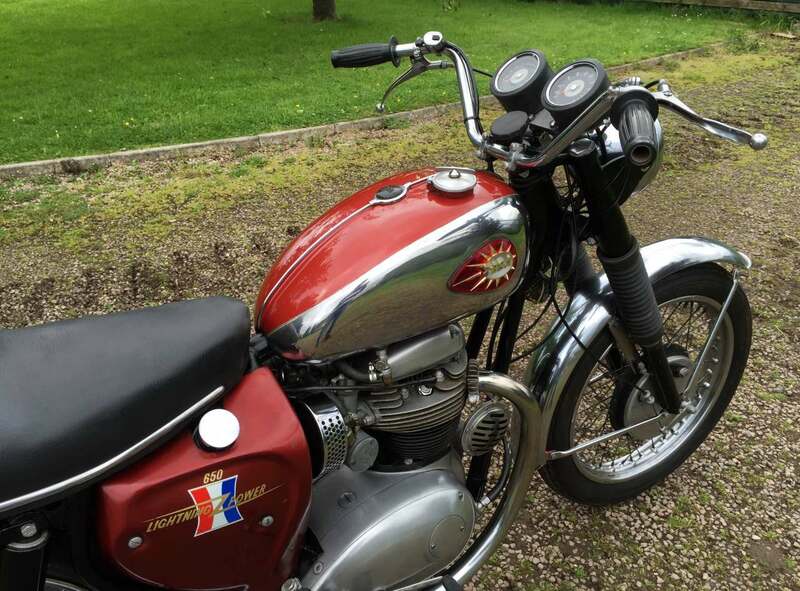 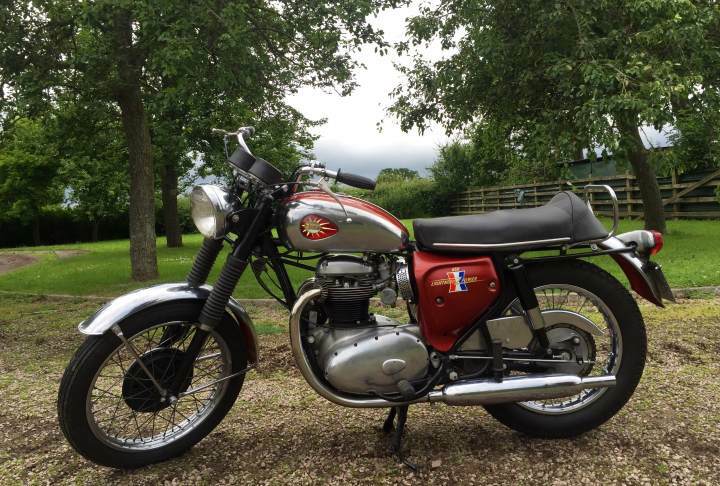 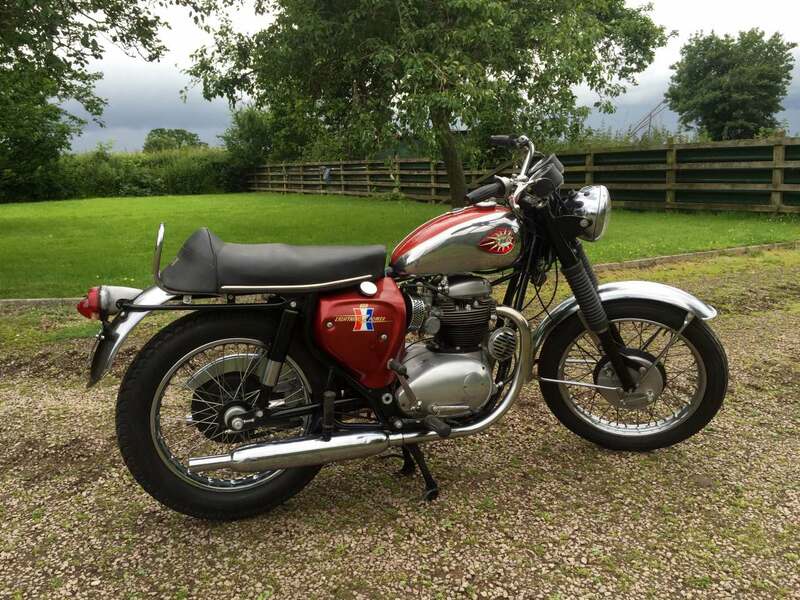 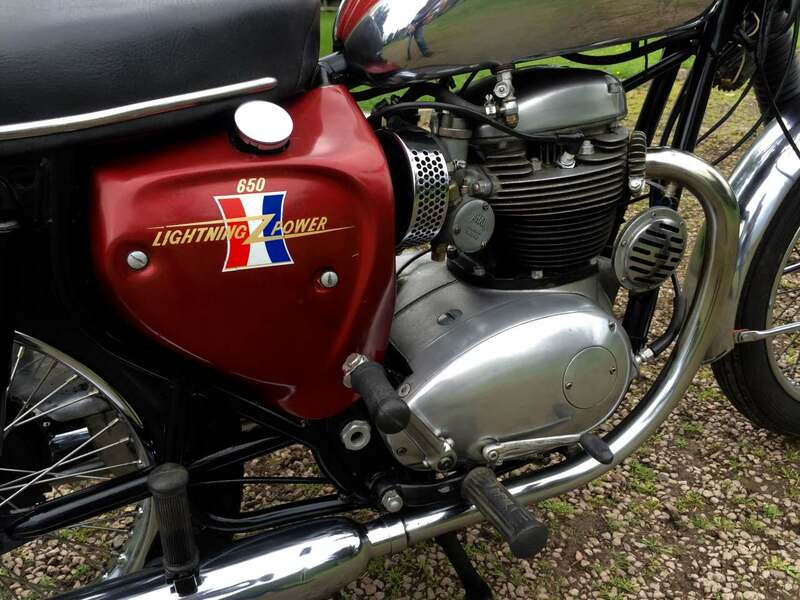 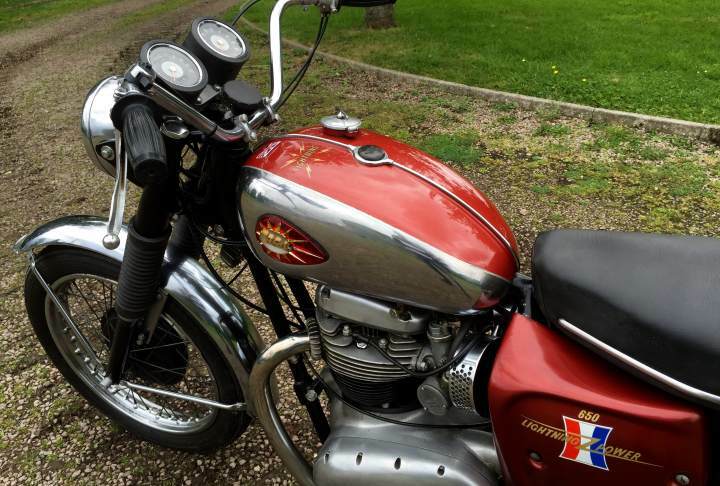 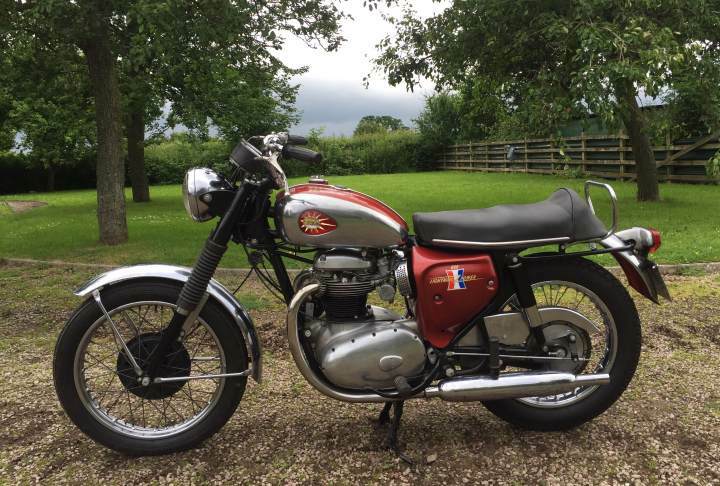 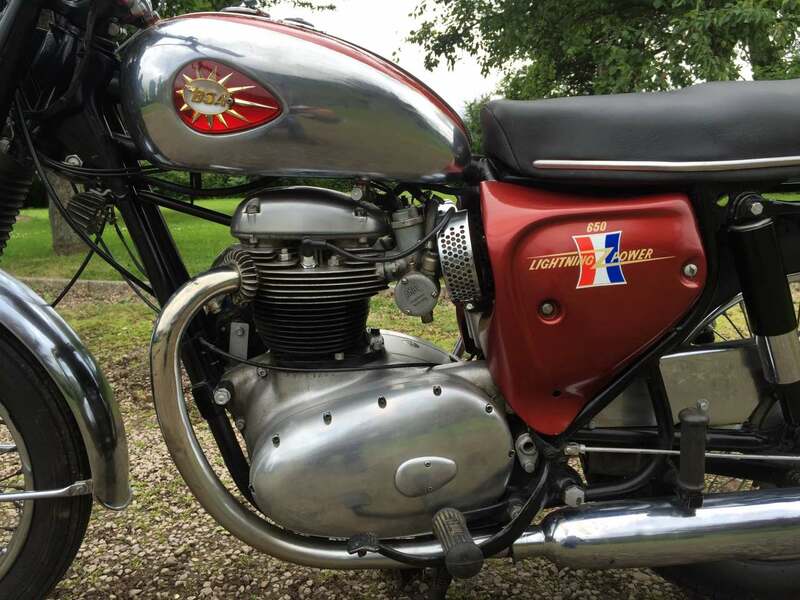 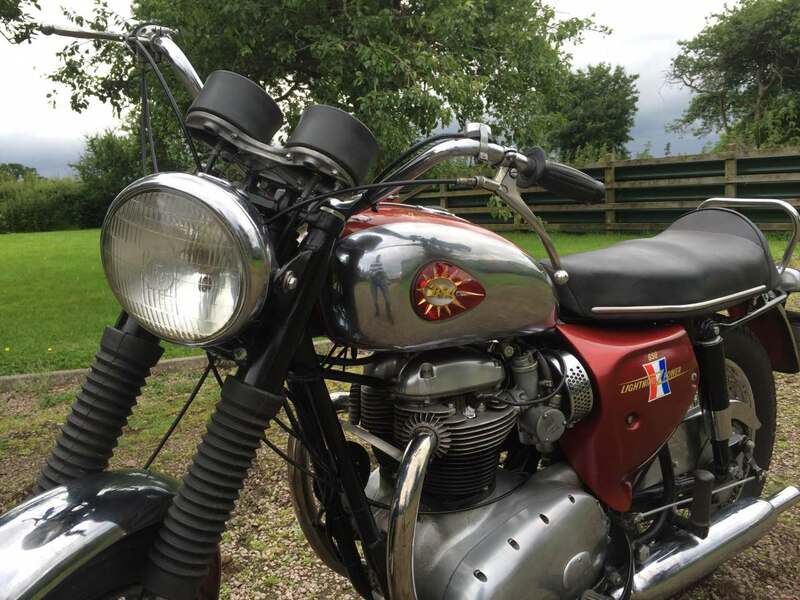 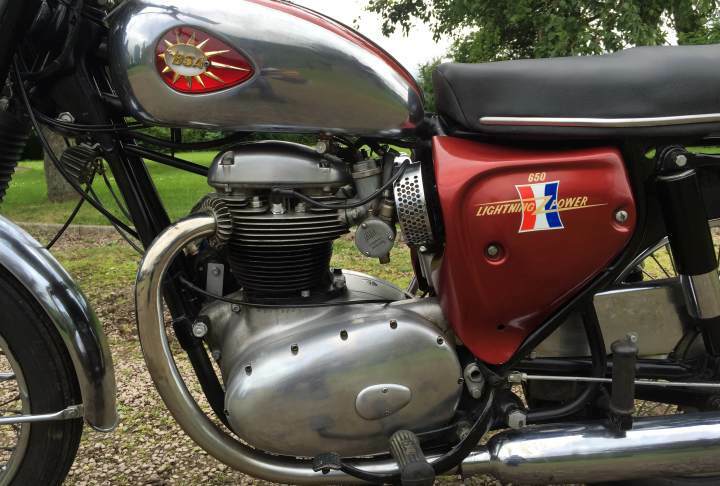 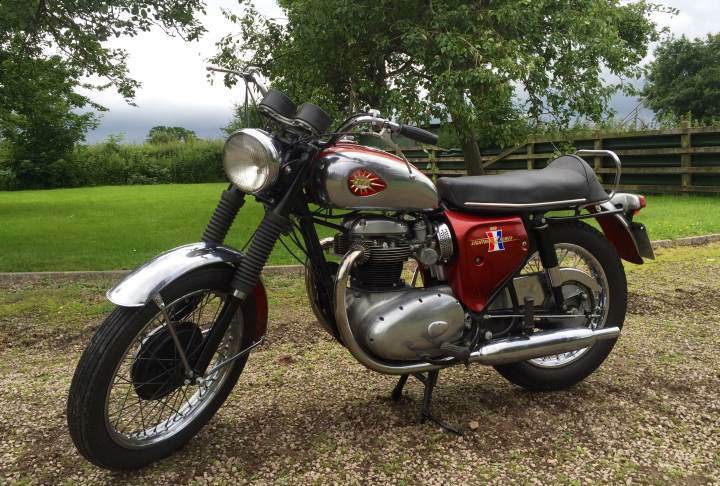 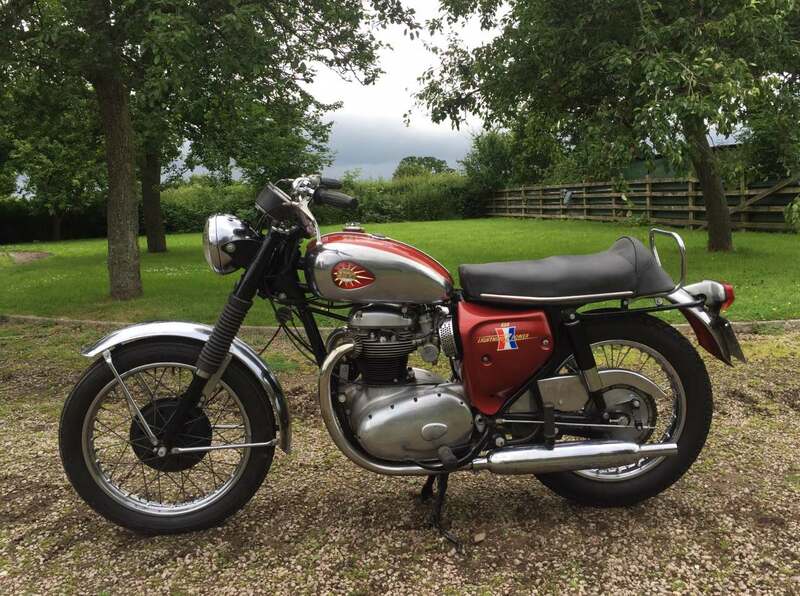 BSA Lightning 1967 650cc, quite rare now as this is the pre oil in frame model. 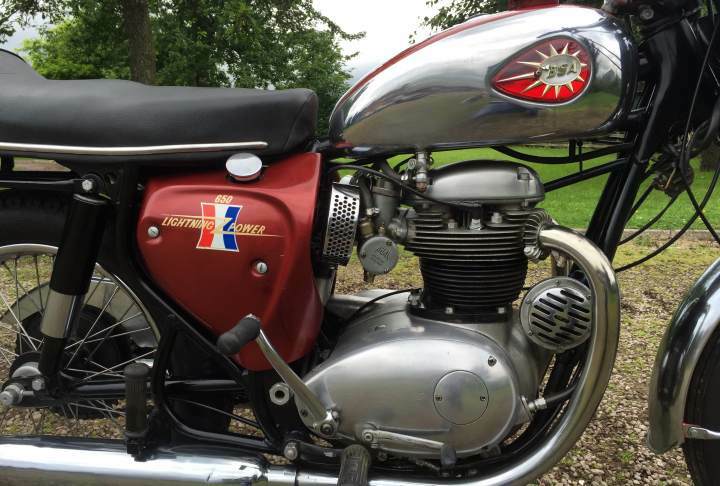 Very attractive with its red and chrome tank and chrome guards. 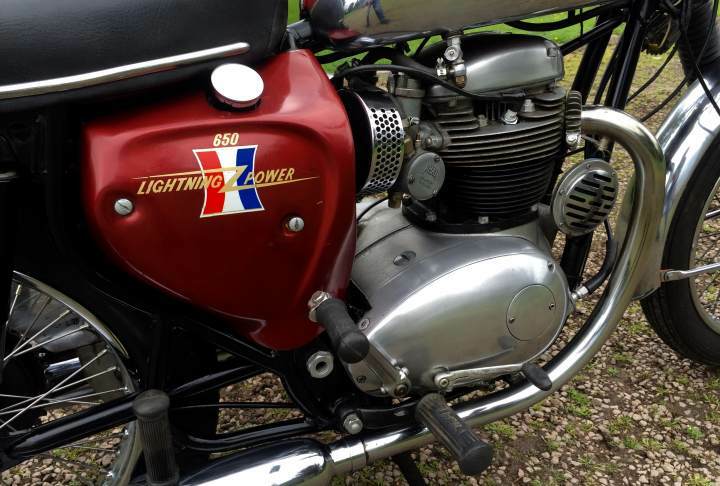 looks to be very original still with the transfers on the tank and side panels. 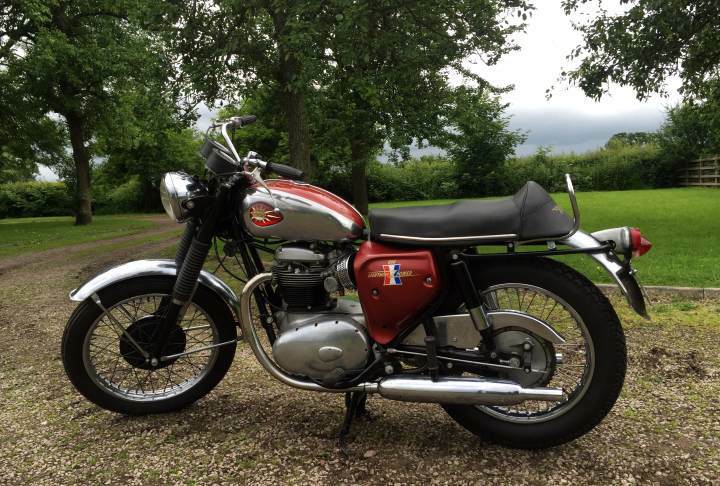 Starts runs and rides very well. 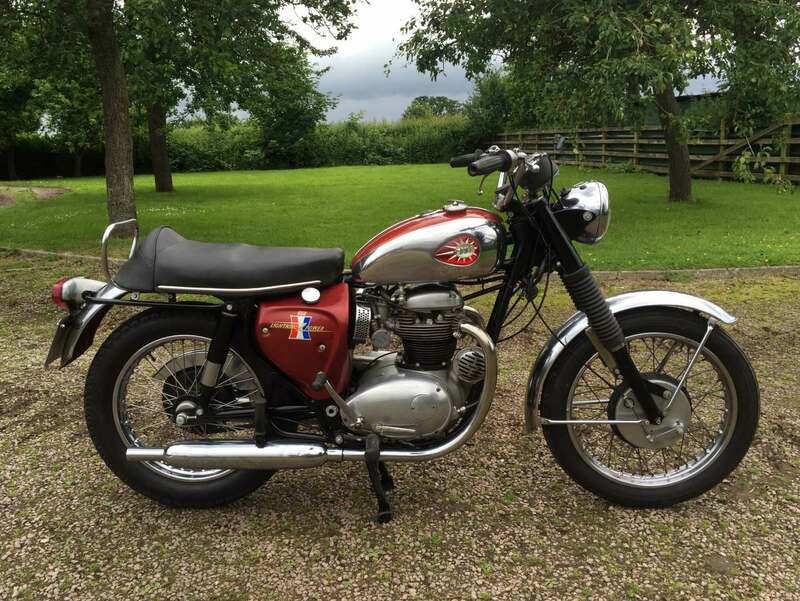 A good alternative to a Bonniville and much more unusual. 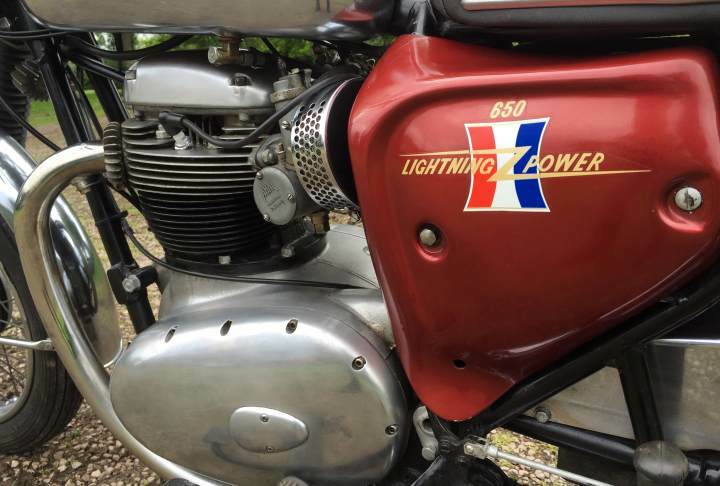 Makes a sound investment as well as Lots of Fun . 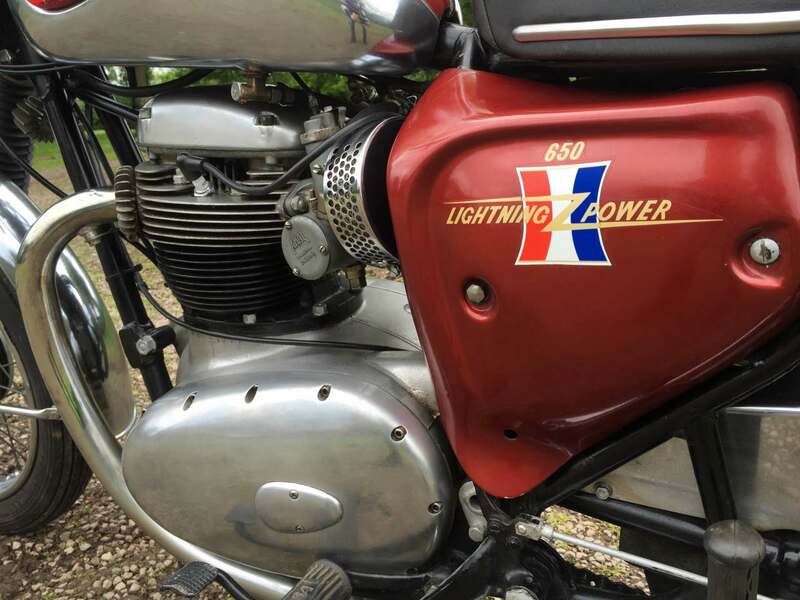 A Great Riders Machine.